Manic Monday or Just Singing the Stock Market Blues? One thing is for sure: markets are in for a bumpy ride this week as, between the continued trade noise, possible warmongering, month and quarter end rebalancing flow all within a holiday-shortened week, something is bound to go upside down. However, after last week tumult, there’s a semblance of calm gripping the market this morning, but price action is more characteristic of the calm before the storm than anything else. While, it should be quiet on the G-10 central bank and data fronts given the sparse economic calendar, but the proclivity for headline risk remains enormous, and it should make for an exciting week. On the trade war front. . .
How China escalates will determine the pace of play, but Chinese retaliation so far has been more genial than initially thought, and they have made efforts for a diplomatic solution. Although China is willing to negotiate and is likely to offer compromises, uncertainty and the fear of escalation will likely hold back market sentiment in the short run. However, considering the U.S. Bond market is the only game in the town for China, and while they may threaten to reduce U.S. bond purchases as leverage in a possible trade war escalation, it’s implausible they will follow through for fear of irreparably eroding the values of their enormous U.S. Bond holdings. Let’s face it no one who is watching China intently, thinks China is about to sell a boatload of Treasuries. But as we saw back in January when China reportedly wanted to slow its Treasury purchases, it briefly generated a lot of attention, so something to keep an eye on regardless. In addition to tariff headlines, having a ” neo-con”(John Bolton) back in the Whitehouse will take the geopolitical risk monitor to another level. With the war drums likely to start beating in Washington again, friend or foe, no one will be immune from his bombastic ideologue and extreme policy views. And as the U.S. is about to enter critical negotiations with North Korea and Iran (once dubbed the Axis of evil when Bolton was working for “Dubbya Bush”), it too appears Trump is taking a no holds barred approach to diplomacy as well. Backend yields rallied as the probabilities of Trade War with China and a genuine war with North Korea, or Iran has intensified as the foreign affairs policy hawks gain power in the U.S. administration. But historically when you have tanking equity markets and falling bond yields, nothing good ever comes from this type of scenario. Complete risk-off mode!! 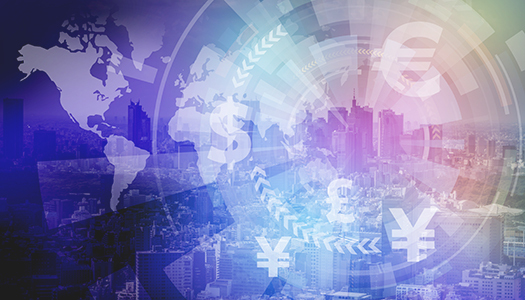 With many markets on holiday this Friday, expect liquidity conditions to deteriorate but complicating matters, March’s month end also coincides with the quarter end so we could see some non-correlated or complicatedly confusing currency moves. Looking at various Quant models heading into this period, the month-end rebalance act suggests USD buying and selling of all other currencies, primarily the EUR. Riyhad came under ballistic missile attack this morning that fortunately, the Army has intercepted. But this is an outright Yemeni escalation, which could lead to a massive global supply disruption if Saudi Oil fields are successfully targeting. Oil prices have jumped higher on this escalation in early trade. It’s undoubtedly a much more dangerous world we woke up to this morning with the geopolitical warning lights blinking red. In general, Crude oil prices are on the ups driven by rising geopolitical risk in the Middle East, which is threatening global oil supplies. President Donald Trump continues to suggest the U.S. will pull out from Iran nuclear deal, which raises the specter of bringing back sanctions on the country and severely limiting Tehran’s ability to export crude oil. But with the appointment of John Bolton as his national security advisor is very bullish for oil markets, it suggests President Trump is now looking to pursue a more hardline approach with Bolton fanning the flames of the discontent. And let’s not forget those surprising U.S. inventory drawdowns that caught everyone by surprise. Indeed, the confluence of a middle east geopolitical noise with supportive short-term fundamentals has oil traders putting U.S. shale supply concerns on the back burner for now, though the current fundamentals are still set to soften later on this year. Watershed day for China’s oil traders as mainland Oil futures commences trading today. It will be a viable hub given that China has become the most significant global consumer and will eventually provide China with higher weight in pricing Crude distributed in Asia. However, oil habits die hard, and it’s doubtful there will be a massive shift of liquidity from traditional exchanges given the fact the contract is priced in Yuan. The mainland exchange will accept USD as collateral for potentially attracting participation from non-Chinese Oil hedgers and speculators. But unless there is a natural two-way need for Yuan, the futures exchange is more likely to attract local speculator and arbitrage traders rather than anything else at this stage But make no mistake this is China spreading their financial reach, but the petrodollar is under little threat at this stage. The specter of a heated trade war between the U.S. and China has the marketplace unnerved as the accompanying equity market sell-off has increased haven demand exponentially. AS well, having a war-happy neoconservative (John Bolton) back in the White House brings back memories of the Iraq war and just how quickly a war of words turned into bombs away is an unnerving thought. But even at these elevated price levels, it’s hard not to stay long gold with geopolitical risk now registering in the danger zone as an escalation of a trade war and John Bolton’s appointment unambiguously raised short-term market risks to a whole new level. On the trade war front, currency markets continue to iron themselves out. It’s not a case of currency markets taking things in stride, but more a function that longer-term currency e implications aren’t so obvious. But the current go-to trades should be abundantly clear by now, Long Gold and Bonds, Short Equities and USDJPY seem to be the favorite cross-asset shelters. Although Kashkari said on Friday, “We’re not sure why the dollar has been weakening,” I have a few conjectures to add the brewing cauldron of despair. Besides the obvious USDJPY haven appeal; currently, the markets cannot see the forest for the trees. I’ve been around trading desks long enough to realize that the continuation of easy money policy and the Fed turtling on 2018 monetary policy adjustments is a nasty cocktail for the USD and should lead to the resumption of more widespread dollar weakness over the short term. And, lets not even start about the burgeoning U.S. budget deficit. With the Fed unwilling to neither move ahead of the curve nor validate the markets hawkish suspicions, the USD should remain in the back foot as they little more than buying some time to ensure they were not walking head first into fatal policy error. But going forward, and considering just how spooky these markets are we could be entering an endless loop of lather, rinse, repeat when it comes to Fed policy. The Yen stands to gain the most from USD weakness and any contraction in global risk appetite. The verbal interventions will be sidestepped and will only provide a better level to by Yen. This week we should expect more intense Japanese exporter selling who are under-hedged and have been hoping for a dollar rebound ahead of Japan fiscal year end. Also, they’re starting forward hedges for the next fiscal year after eventually setting the new budget rate at around 105. The market is completely underpricing the EURO. Trade war aside, as the Fed policy matures, the ECB is only entering the early stages of policy debate. With the USD support capped from policy divergence perspective, the opportunity to ride the shifting ECB policy wave should come back in vogue. Regardless that the initial size of the tariffs which are much smaller than expected, the fear of escalation is what is driving risk sentiment batty. The currencies that remain vulnerable on trade war escalations are KRW and TWD. But with risk aversion taking hold, regional equity market will stay out of favor, and this could envelop the entire regional currency basket in a swarm of negativity. From a current account deficit perspective, IDR and PHP remain incredibly prone why the THB and MYR should remain relatively sheltered form trade war pressures given the stronger current accounts and less vulnerable U.S. trade exposures. Trade war rhetoric was a major theme over the weekend again and will continue to weigh like an anvil on local equity markets. But the USD continues to trade with a weaker bias against the JPY and EUR, and OIL markets remain extremely firm which is providing background support but with traders trying to iron out the actual Trade War implications on FX markets, its unlikely the Ringgit will move off its defensive posture. Everyone including their pet dog is focusing on the RMB complex which has fortunately been tracking the USD woes suggesting Chinese authorities are not looking to use the currency to retaliate. But it’s more likely given the small economic impact from the U.S. tariffs. The PBoC could reintroduce the counter-cyclical factor to contain RMB bearishness and prevent renewed outflow pressure after all the Trade War rhetoric is a poor eye test for mainland investors.